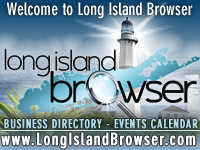 Long Island events for auditions, try-outs, competitions music, singing, dancing, theater performing arts for performing artists on Long Island New York. 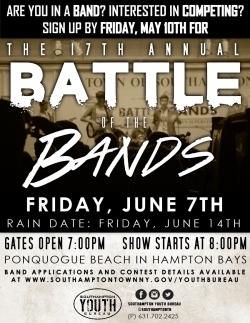 Southampton Youth Bureau 17th Annual Battle of The Bands 2019 at Ponquogue Beach in Hampton Bays, Suffolk County, Long Isand, New York. Tags: Long Island auditions, try-outs, competitions, music, singing, dancing, theater performing arts, performing artists, Long Island New York.